It’s Friday as if you didn’t already know that by now. Another thing that you may or may not know I am kind of like an old lady. In the regard that I am not one for the party scene; I am a homebody. Call me lame but I would sometimes rather stay in, have a glass of wine, and just enjoy the company. With that said, tonight I am celebrating by trying a new cupcake that is candy inspired! I am going to give it a test with the help of some close friends. 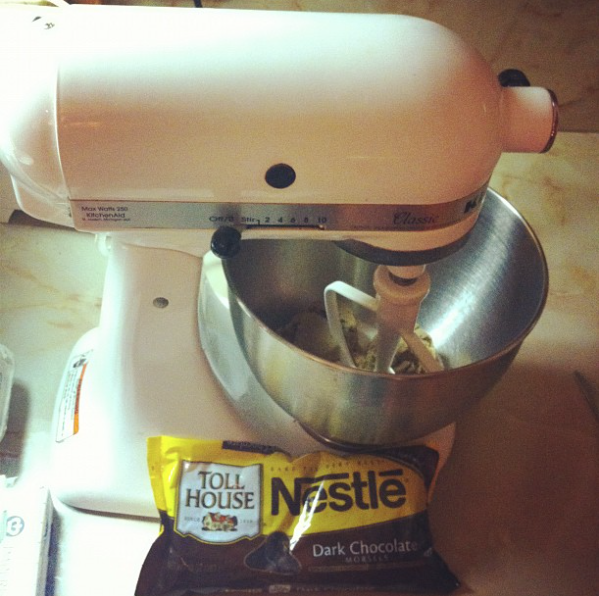 In addition, I am also thinking about making some chocolate chip cookies as well. My mouth is watering just sitting here thinking about it! Then one look at this picture you will want a glass of milk accompanied with a warm cookie! I will let you know how they turn out, everyone cross your fingers, please! So there you have it, it’s a Friday night and I have a hot date in the kitchen. I hope that you have had a great week and have an even better weekend!